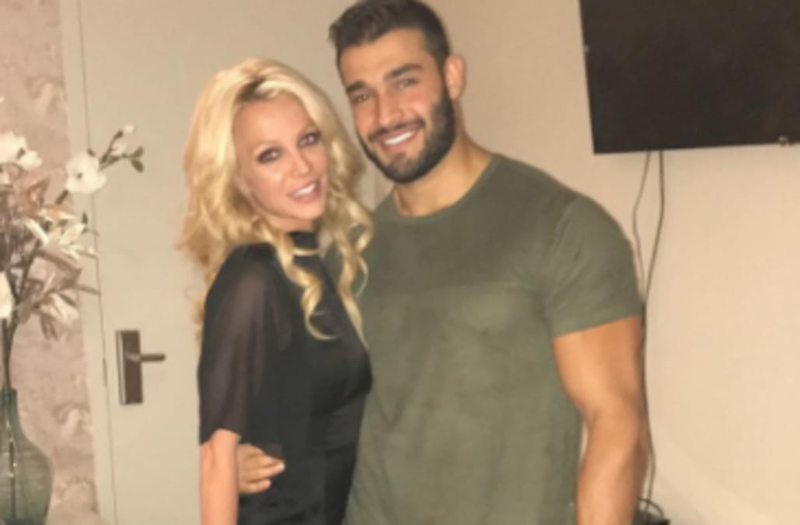 Some of our favorite celebrity Instagrams this week came from Britney Spears, who hung out with boyfriend Sam Asghari in Las Vegas, Jessica Simpson, who struck a pose with her daughter, and Miley Cyrus, who continued to tease her new song "Malibu." Hilaria Baldwin posted a sweet photo of herself hanging out with her kids in bed, while Hilary Duff and Joe Jonas both hung out with their respective friends' kids. More of our favorite celebrity Instagrams this week came from Nicki Minaj, Kylie Jenner, Kim Kardashian and Jessica Alba. How marvelous to step into @Prada's universe, where one can wear pajamas to a fashion show and socks with sandals. Also how ironic, since those are the two things I told my father he could never, ever do. Thank you #UCLAMattelChildrensHospital for the incredible honor last night. @natashacroxall you nailed it 💖A big thank you to @mattel for your enduring commitment to children's health, also to @harrywinston. Big love to @prada for dressing me and the bravest woman I know @amywilcox813. COSTA RICA episode of #kuwtk is on tonight! And Costa Rica travel diary on my app.